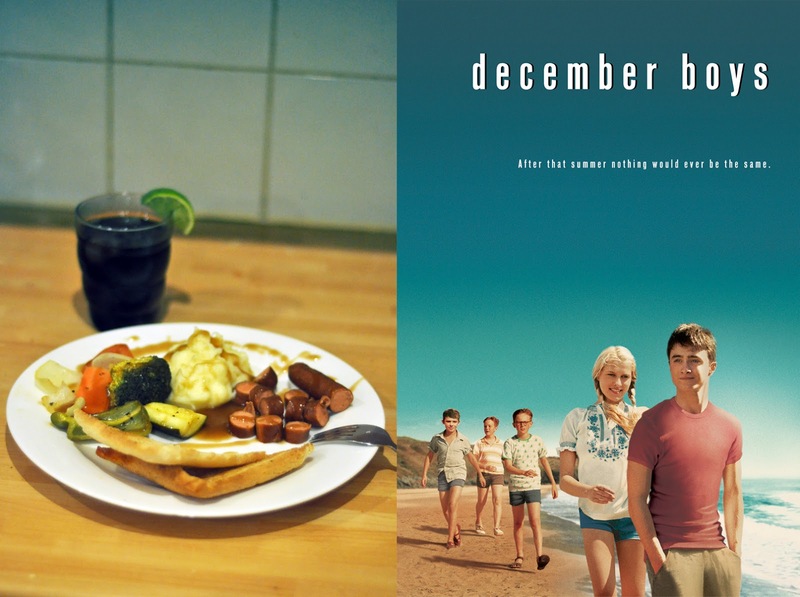 December boys is an indie film, not something mainstream or for the mass audience…It's small, cosy and heart warming. It's about an orphanage in Australia and about four orphan boys who go on an adventure together. Once again, Daniel Radcliffe plays an orphan…When I heard of the title, I assumed the film to be based around winter, hence me preparing a warm winter meal. However, December in Australia is summer…so yeah, didn't get this one right. I recommend you to watch this film, it's pretty good and I actually loved it. There is something warm and loving about the boys relationships and how they stick together. The end in particular made me somewhat sad but happy at the same time. As for the dish I've prepared…easy, the pictures explain it all and I am sorry to write this, but I've been busy to be writing down every step etc. Am I turning into a lazy blogger? No, I am turning into a dragon lady who has barely time for much, let alone blogging. But not to worry, the last Film & Food blog post will be a feast! I usually put cheese and Philadelphia cream cheese in my mash potato. Also, instead of water I use milk…I like it thick and creamy! Give it a try and hopefully you'll love it as much as I do! Mash potato is easily done, really don't have to describe do I? Use any of your favourite vegetables, cut them into chunky pieces, marinate them with olive oil, sea salt, lemon (or lime in this case) and let it all soak in for few minutes (10-15mins). Once that's done, simply place it in the oven and let it roast until 'golden'…the cliched phrase all cooks use! I prefer the sausage boiled in water, much healthier and less greasy! Have it with any desired drink…I have a pepsi with lime ha! Bread or toast, either way, have something to complete the dish. Not to forget gravy! I didn't make my own gravy…Didn't have the right ingredients to make my own gravy, so I used the ready made ones, where you mix it with hot water.